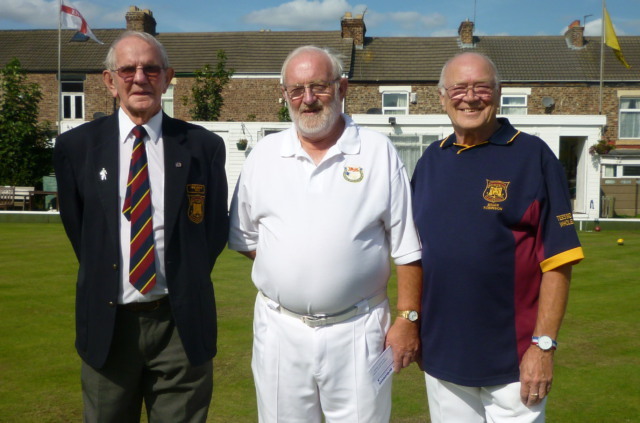 On September 7th, Friends from 10 counties made their way to Stockton bowls club for our last game up North this season and our penultimate game. The green was much faster then we were used to and in the first few rounds quite a few woods ended up in the ditch. 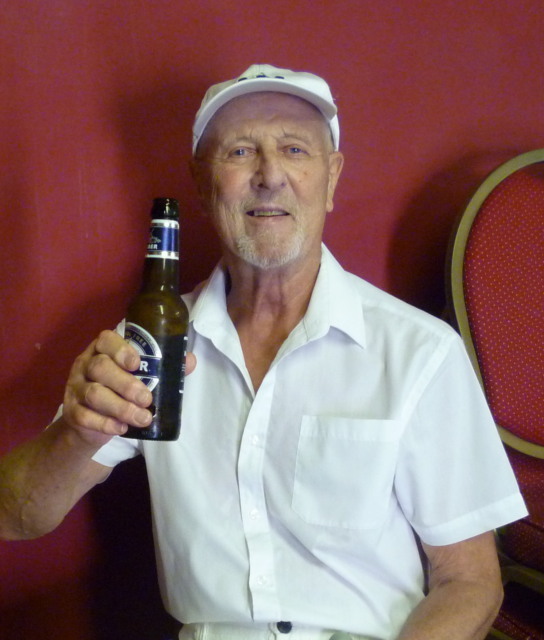 Captain of the day was our much loved, hard working Match Secretary Adie Lloyd. 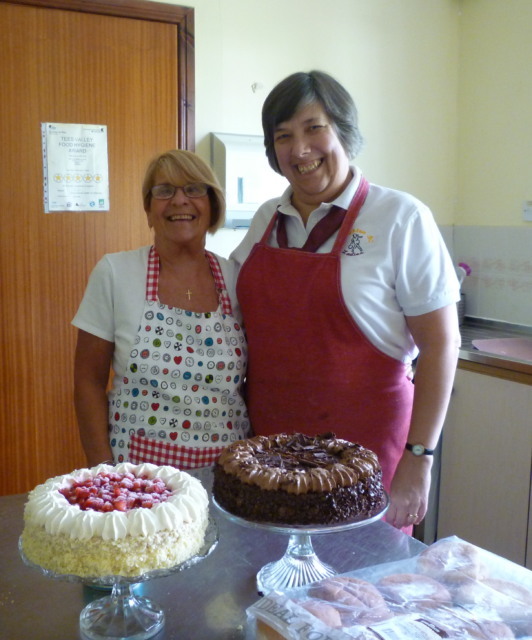 We were greeted with a most welcome cup of tea or coffee by those wonderful ladies in the kitchen or a drop of the harder stuff by the boys behind the bar. 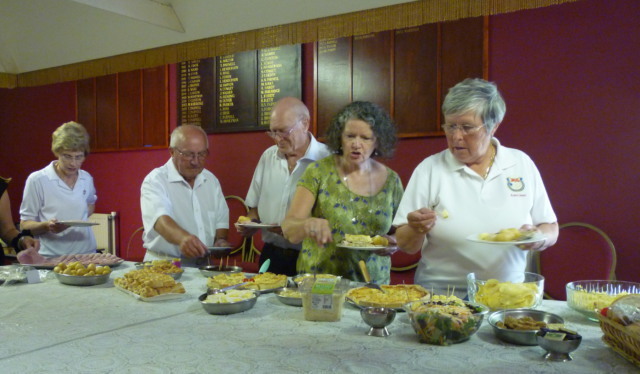 We were treated to a lovely buffet lunch, set out on the billiard table. After our fill of food we then went out onto the green to start the game. 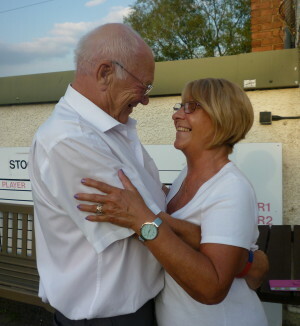 A warm greeting was given to us by the secretary of the club – our good friend Les Parnell. The cards were read out and we proceeded to our rinks. The weather was very warm (hotter and sunnier than down South) but luckily there was some nice shade on and around the green where we could take refuge. Lots of laughter could be heard all afternoon, so I think we all enjoyed ourselves, even if we did lose the match. Lots of new friends were made and lots of old friendships renewed. The Friends are looking forward to coming up North again next year for more of the same. After the game a buffet supper was enjoyed by all and then President Brian made an amusing speech and told a joke that several people wrote down for future use. He then presented top rink prizes to the winning team of the day. Adie then replied and also gave out top rink prizes. 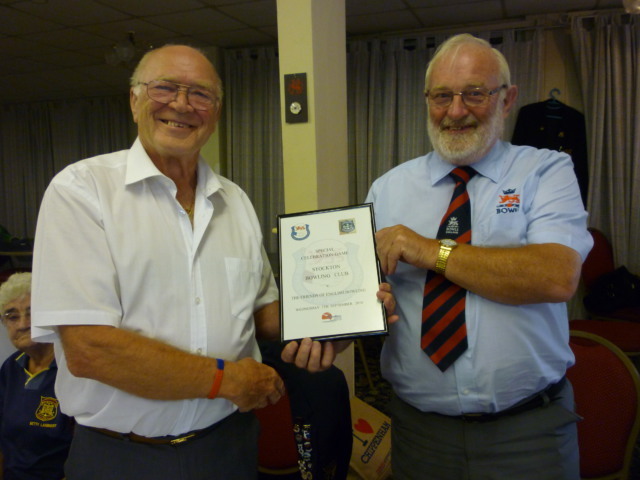 The raffle then took place after which Adie presented Stockton B.C. with a memento of the day. 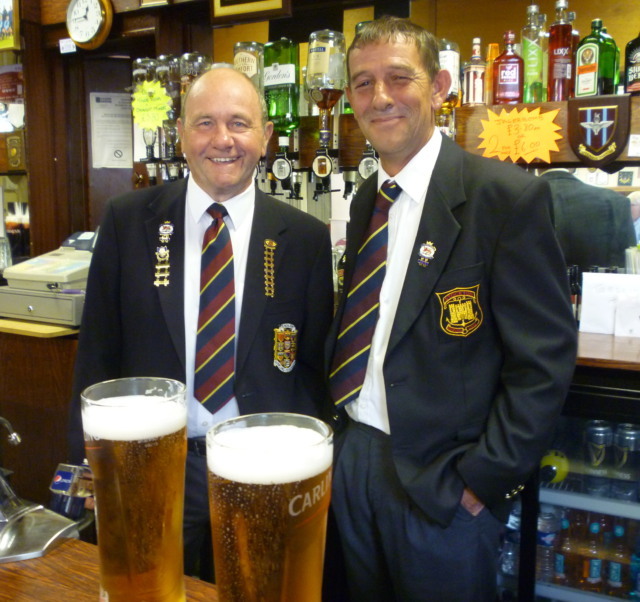 It was a day of celebrations for the members Stockton B.C. and the Friends would like to thanks each and everyone of you for letting us join you on this happy day. President Brian and Phyllis celebrating 53 years of marriage.